After years of working for a big bank including working as a financial advisor for Merrill Lynch, I was inspired to create a financial services company that actually cared for its clients and provided them the services they needed. Most financial services companies only care about you as far as they can sell you products like investments, bank accounts, credit cards, loans and insurance policies. They also want to give you technology and apps to solve your financial problems; however, something we know at the Financial Gym is that money is personal and people aren’t algorithms. Anyone can put together a financial plan, but how many people actually follow it and stick with it? 90% of our clients achieve their financial goals and I truly believe that 100% of them would say that a large factor in their success is the accountability and support they get from their financial trainer. Technology is great for the DIY’er, but most of us need a human to turn to for financial guidance: Should I pay off my student loans or invest? How do I pay down my credit card debt? What should I do with my tax refund? How do I stop living paycheck to paycheck. When you come to the Financial Gym, you have my personal guarantee that your financial trainer will not only have the knowledge and tools to help you achieve your financial goals, but your trainer will also care about you and your unique journey. You don’t have to solve your money challenges alone, we’re here for you! Shannon created this educational and entertaining podcast combining two of her favorite activities: drinking and talking about money. Check it out to learn more about anything from investing to life insurance without all of the old school financial jargon and dry personalities. 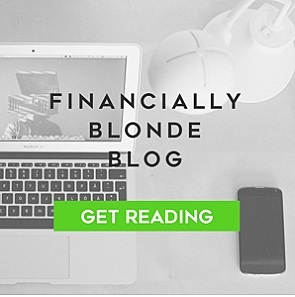 While working at Merrill Lynch, Shannon’s male teammates called her the “Elle Woods of Personal Finance.” She embraced this title and created her blog, Financially Blonde, as a fun resource for men or women to learn more about money. Shannon believes there are three financial fitness types: Financially Fit, Financially Skinny and Financially Fat. 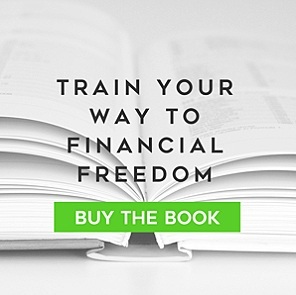 With this book, you will take a quiz to determine your type and get the financial exercises and guidance you need to improve your financial life.